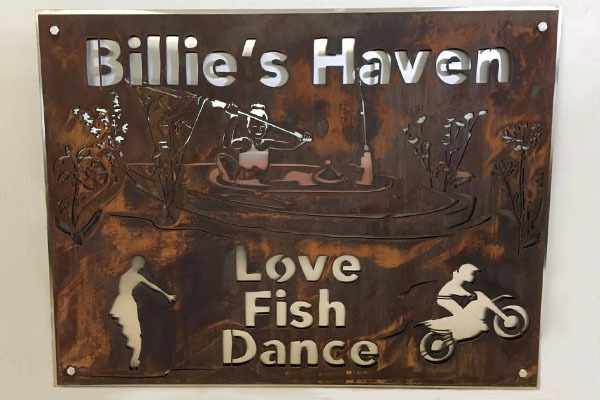 Custom designed metal signs for home decor, business fronts, cities, and more. 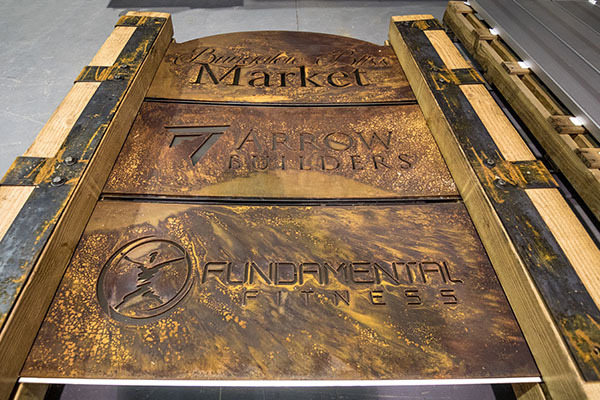 Continue scrolling to view previous sign projects that our team has created. 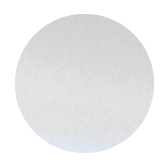 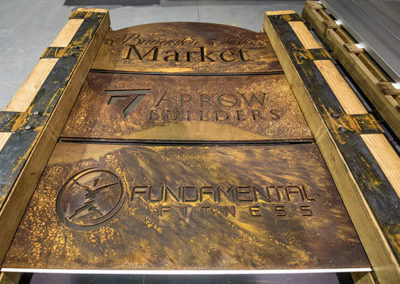 We offer a variety of finishing options and combinations to make your sign stand-out. 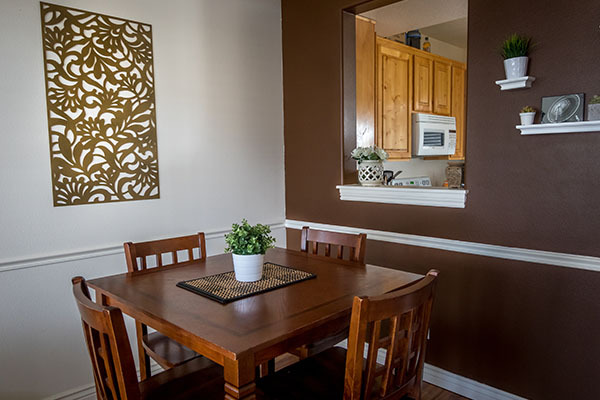 When ordering, be sure to let us know what finish you are interested in. 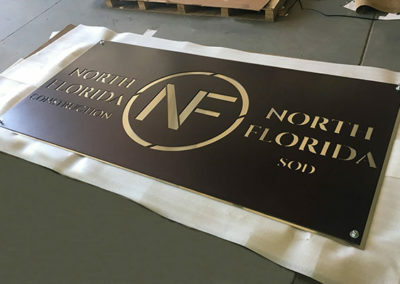 Our team is capable of doing a single layer sign with one finish, or layering multiple metal parts on top of each other for a unique look. 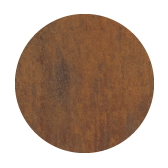 Our options include: blackened steel, rust, powder coat, and stainless steel. 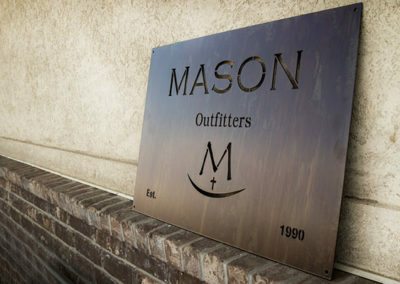 Note: the blackened steel finish is only available for indoor signs. 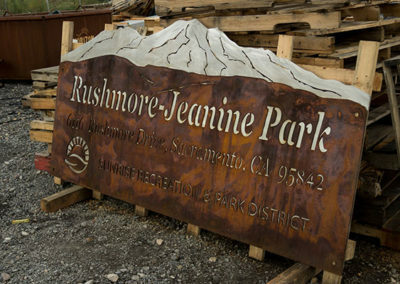 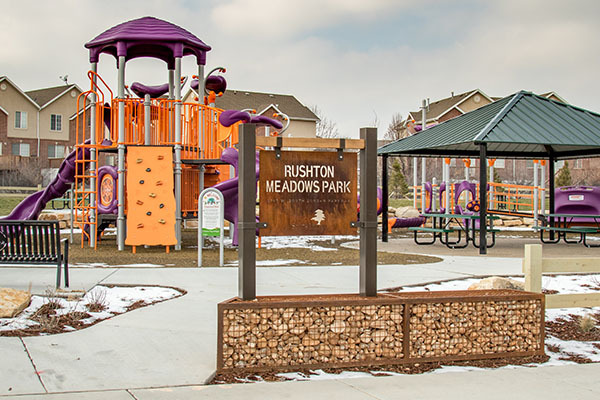 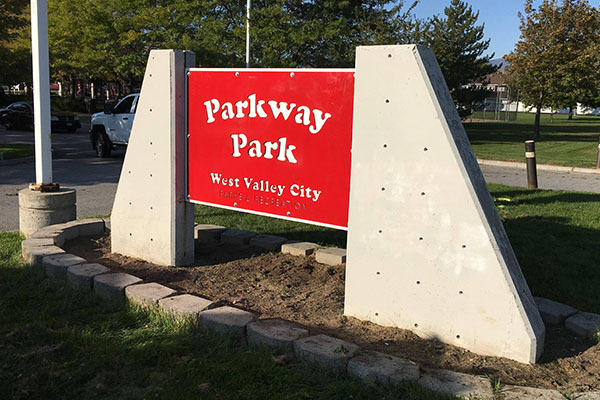 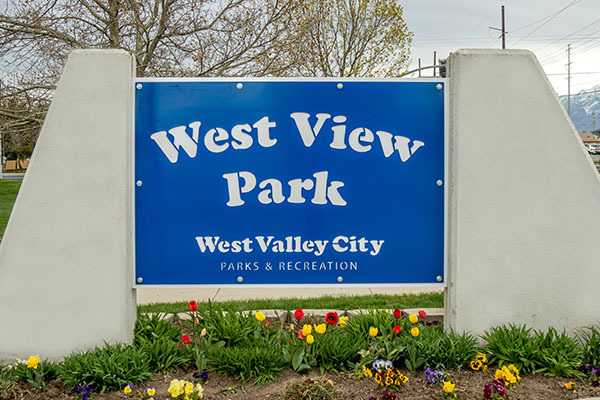 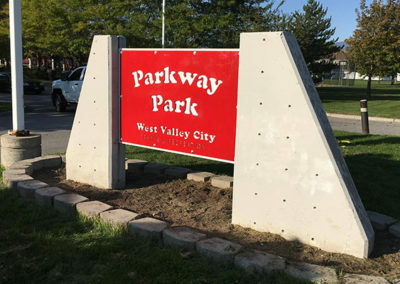 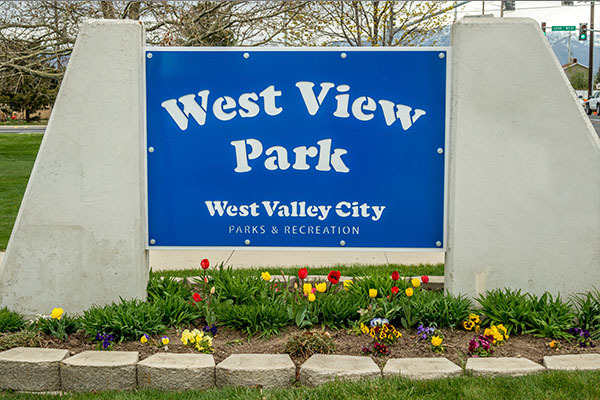 Give back to your community with custom park signs from Smith Steelworks. 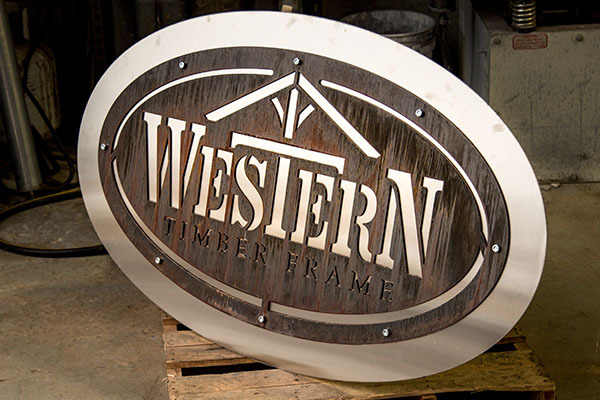 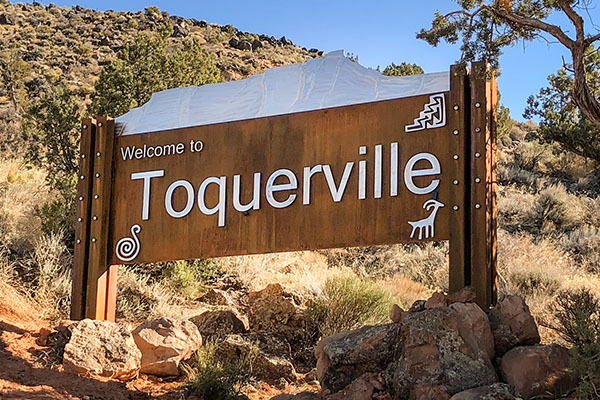 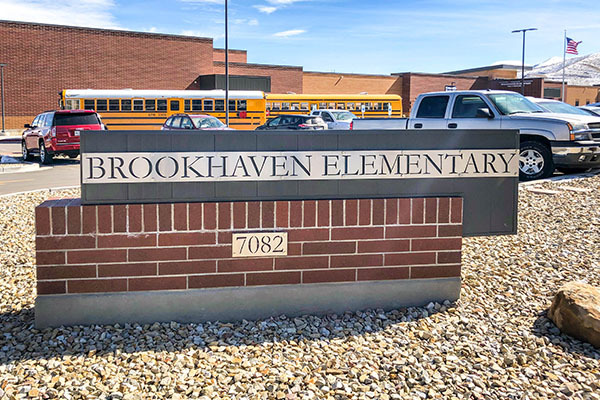 Each sign is available with powder coat or rustic finishing options to add a lustrous, weatherproof finish, while protecting the bare metal from rust and corrosion. 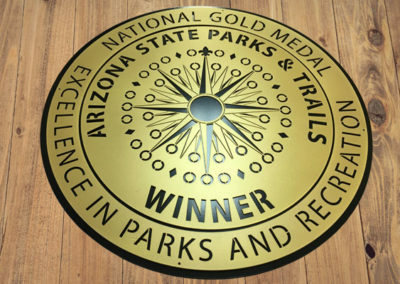 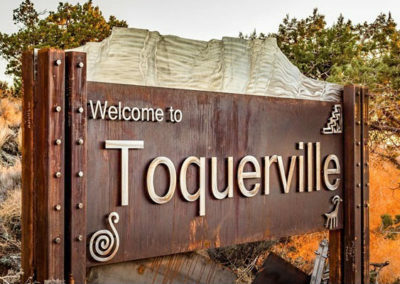 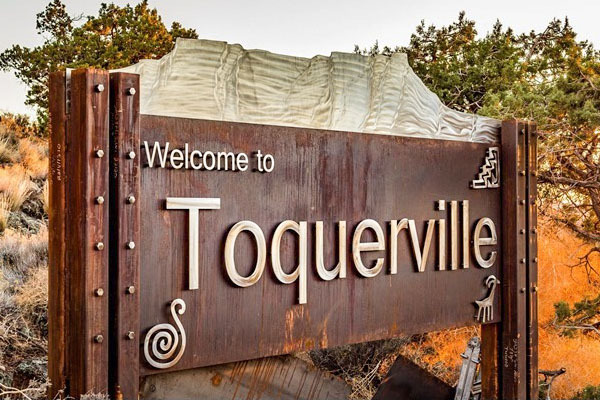 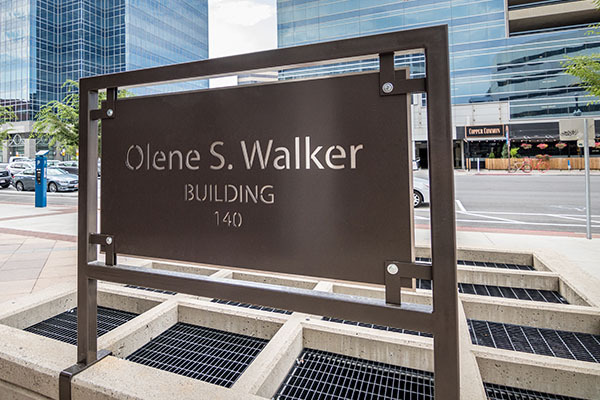 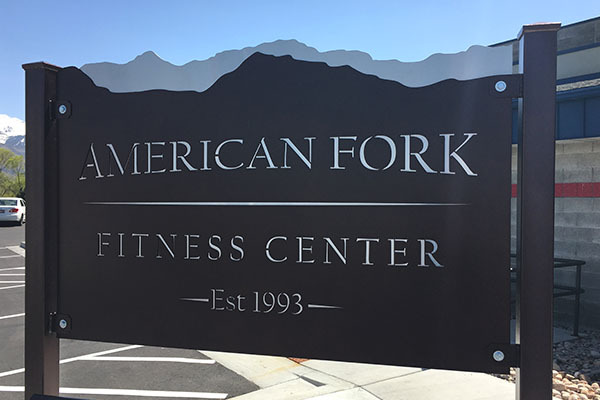 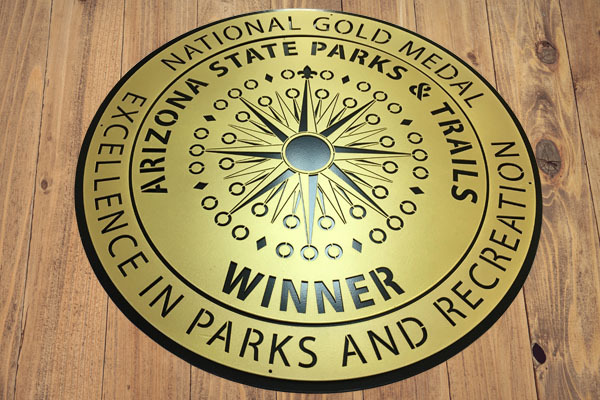 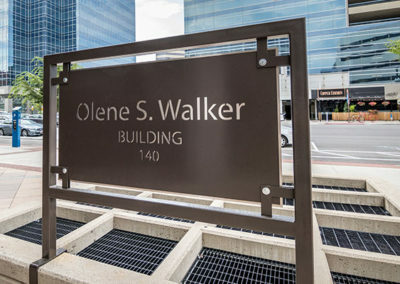 Make a statement with our custom monument signs.The sign is perfect for business fronts, city parks, entrance ways, and more. 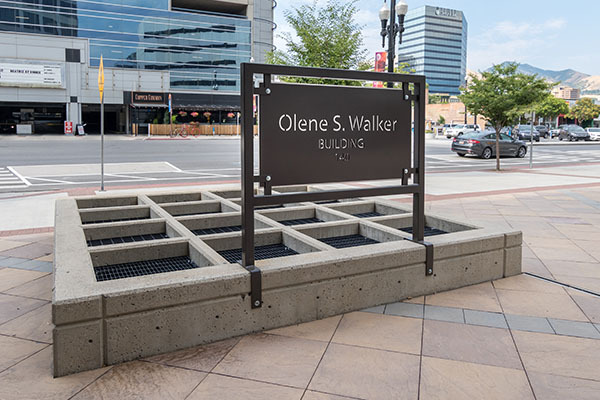 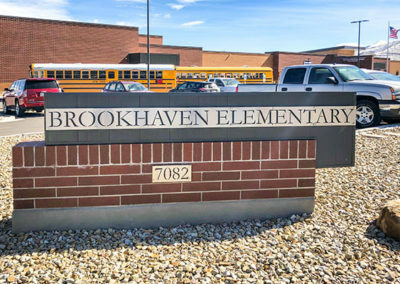 Each sign is available with a variety of finishes, designs, and installation options. 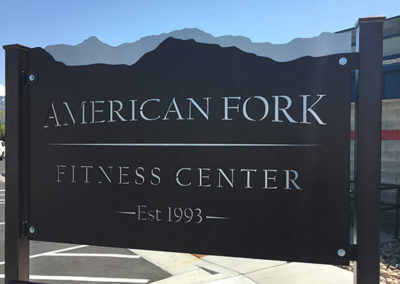 Call today to get started! 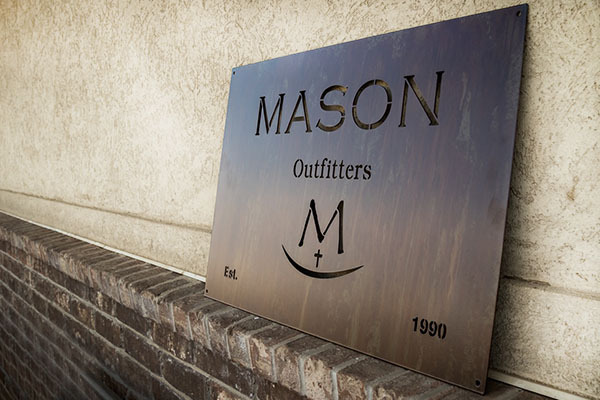 Order a new laser cut sign for your business. Each metal sign is available with full customized designs including logos, inscriptions, and special sceneries. 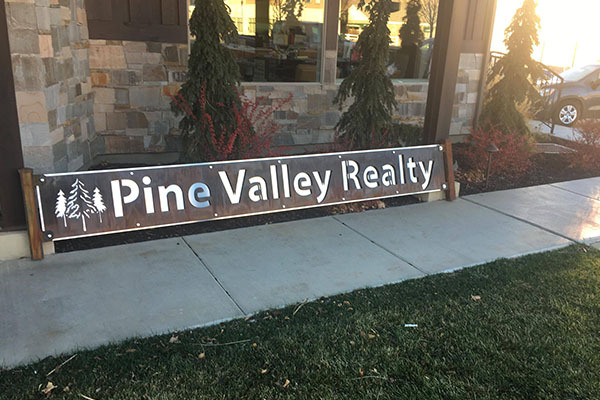 The business signs can be designed for both indoor and outdoor locations. 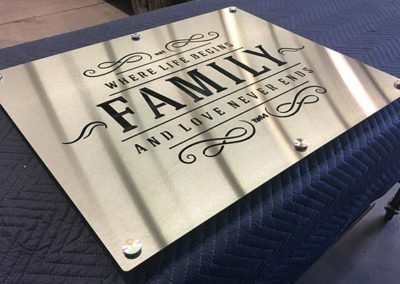 Our laser cut metal office signs will give your work space beautiful finished look. 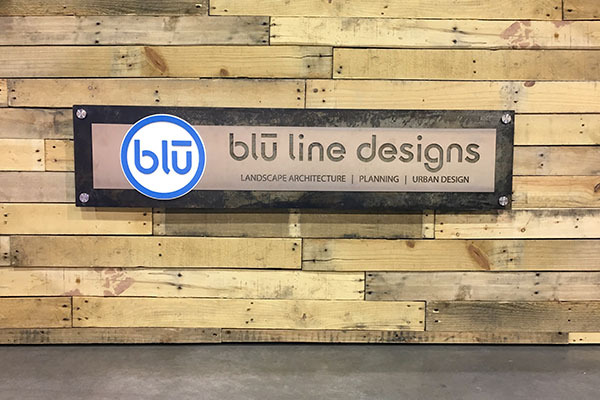 Our designers are capable of incorporating your logo, mascot, or other business aspects into the design of the sign for integrated marketing. 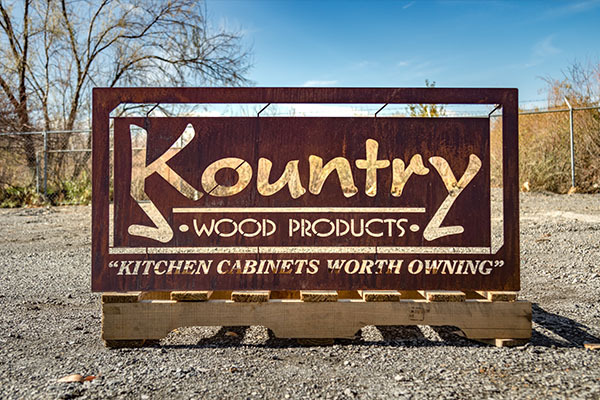 We offer powder coat or rustic finishes. 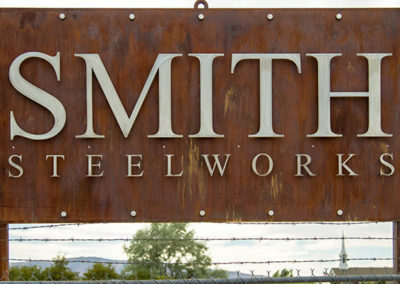 Update your home with a custom estate sign from Smith Steelworks. Our designers will take your ideas and style of your home to create a one-of-a-kind sign. 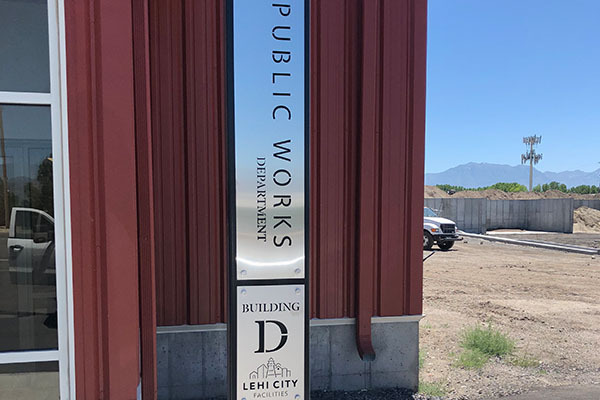 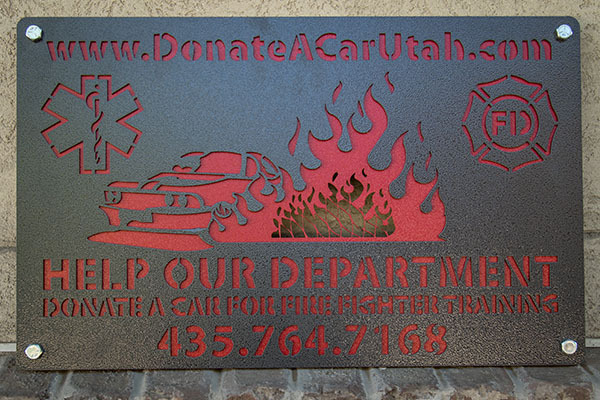 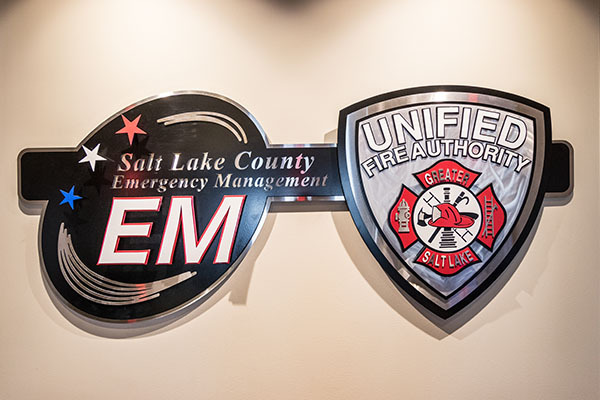 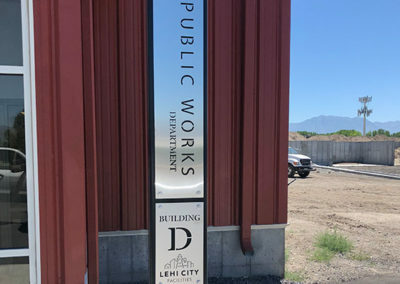 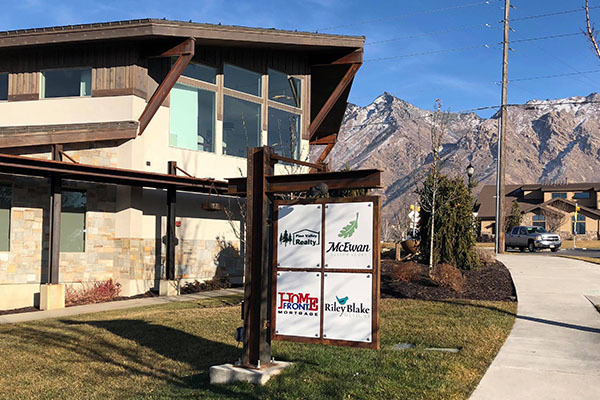 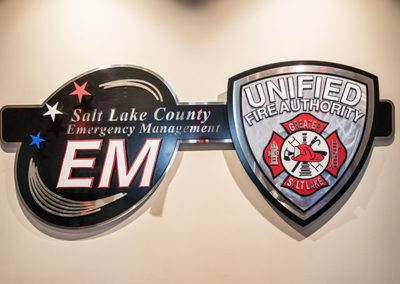 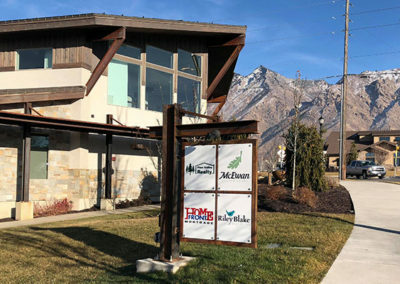 Give us a call at (801) 414-1724, or click the button below to learn more about our laser cut metal estate signs. 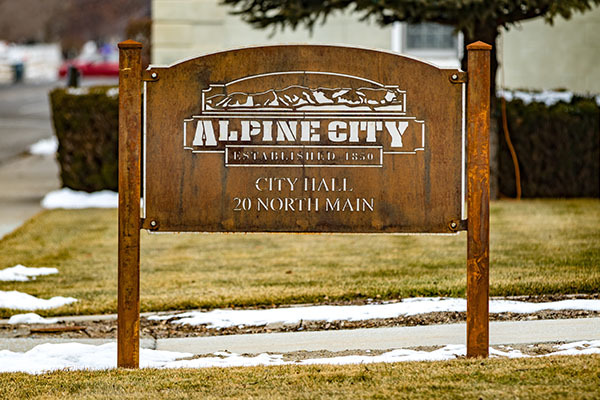 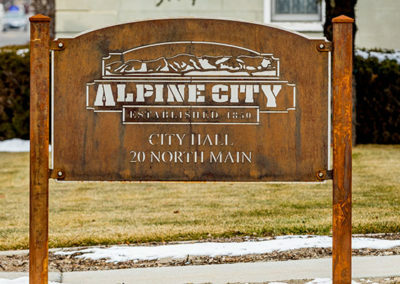 Is your community in need of a new laser cut metal city sign? 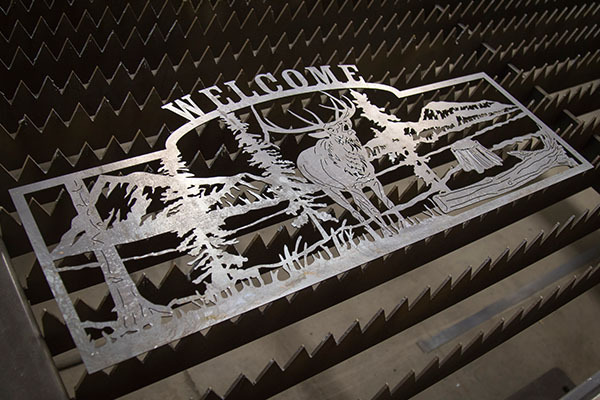 Our team will work with your city to create a laser cut sign that integrates your ideas, designs, city logo, landmarks, etc. 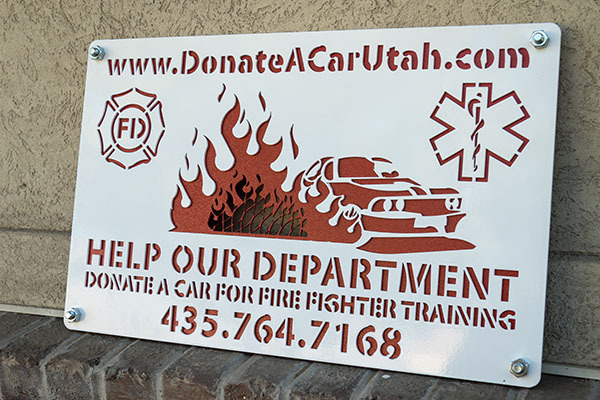 To get started on your sign, give us a call at (801) 414-1724 or click the button below! 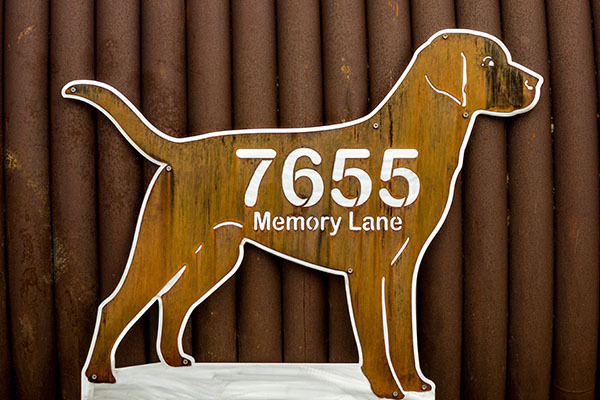 Order your laser cut metal address signs from Smith Steel Works. 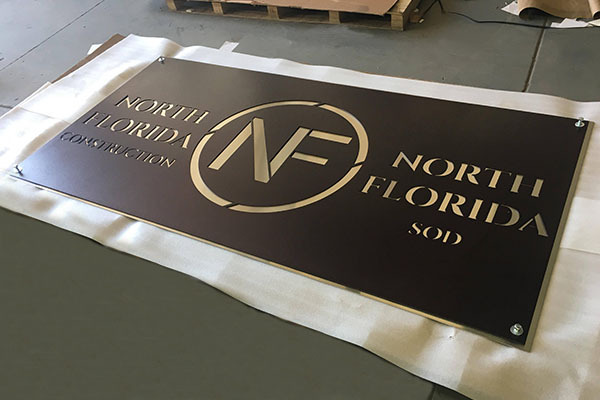 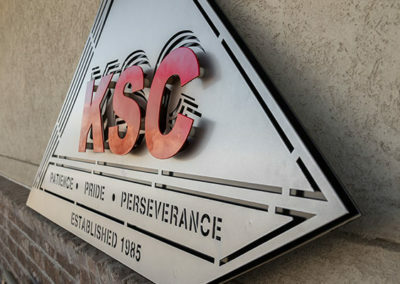 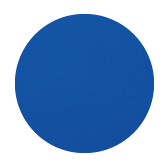 Each sign is goes through a special three-step powder coating process. 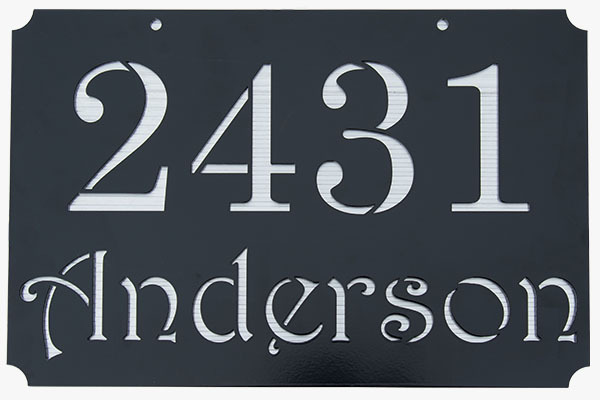 This keeps the address sign free of rust and corrosion and other impurities. 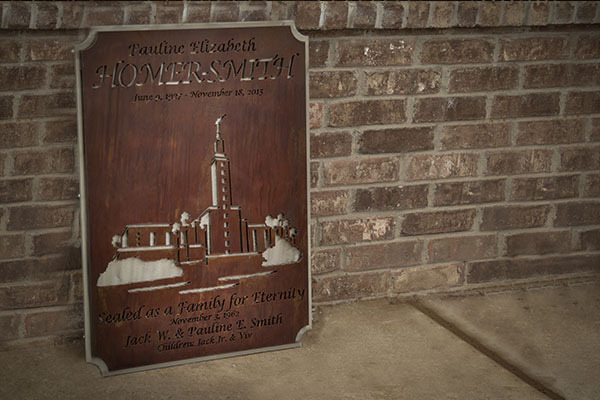 Honor your loved ones with a laser cut cemetery sign. 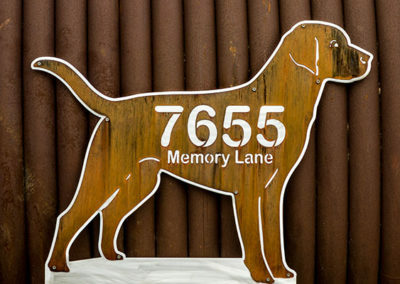 Each sign is designed custom with images, landscapes, inscriptions, etc. to pay tribute to their life and memories. 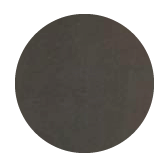 Learn more by clicking below. 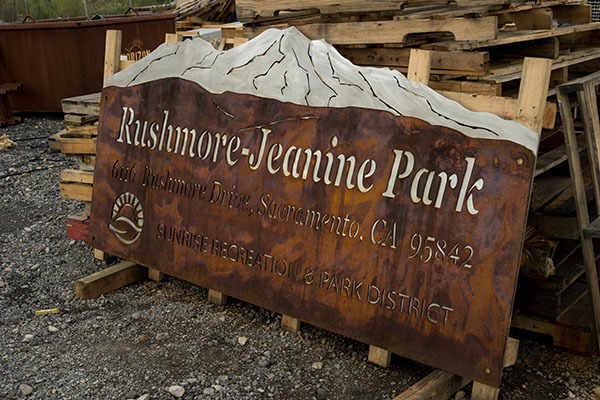 The outdoor signs are created to bring beauty to the surrounding areas and leave a strong impression. 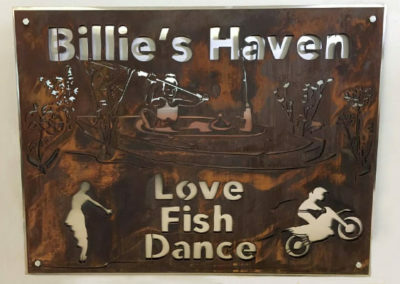 Each metal sign is sandblasted, primed, and powder coated to prevent rust and corrosion. 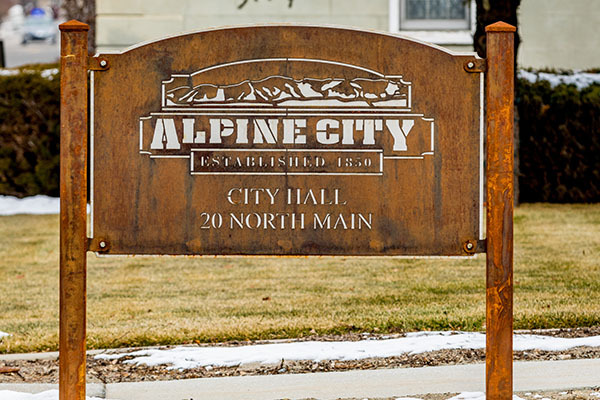 Rustic signs are one of the most sought after laser cut metal sign options for business fronts, city parks, home addresses, and wall decor. 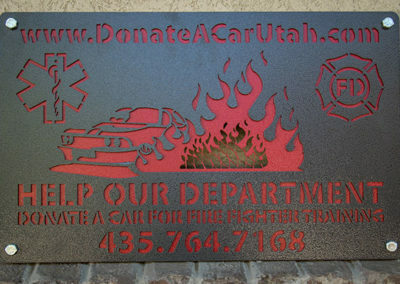 Each sign is available with fully custom options. 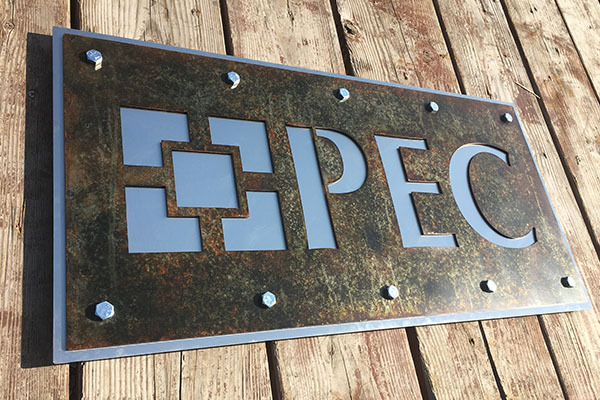 Creating your own specialty signs has never been easier. 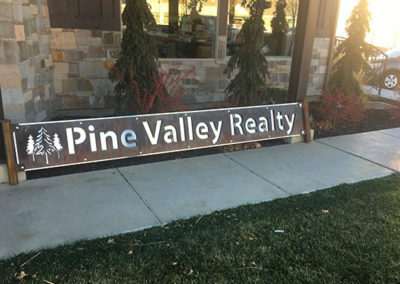 Begin by sending us an email with the type of sign that you are looking for. 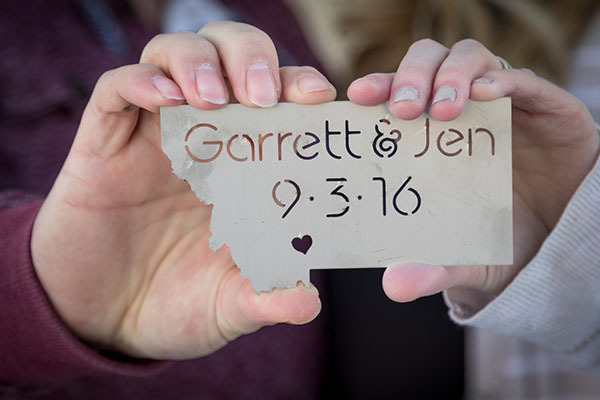 From custom plaques to save the dates, we manufacture it all. 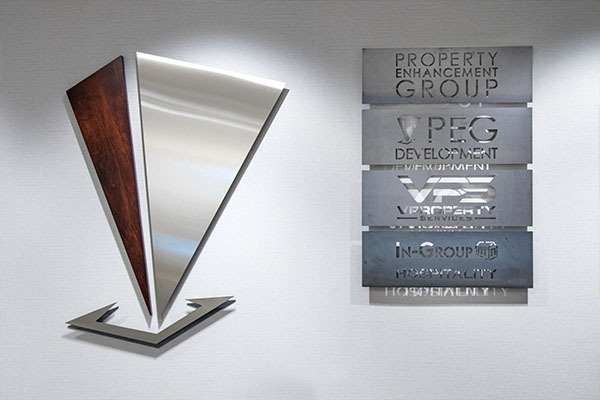 Looking for the perfect piece of metal art for your home? 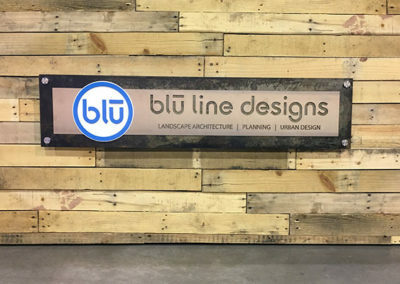 Design your own! 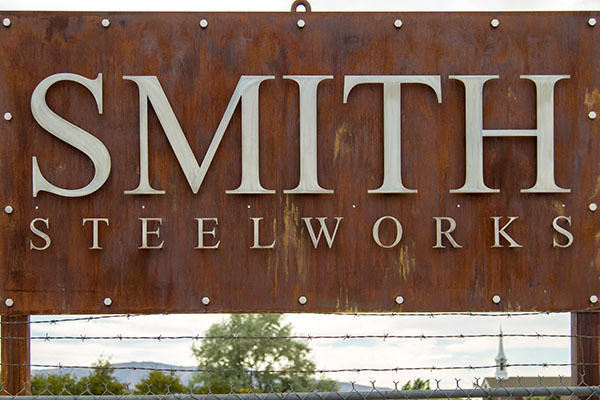 At Smith Steel Works, our team will work with you to create the custom decor you dream of for your home. 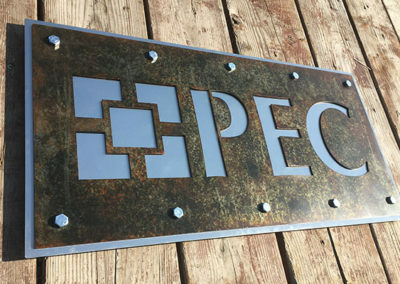 Want to see more personalized metal signs? 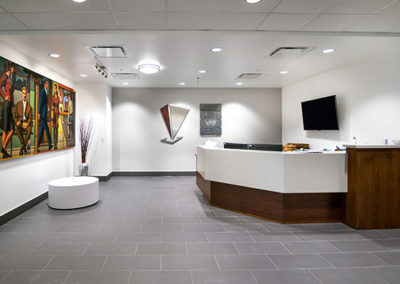 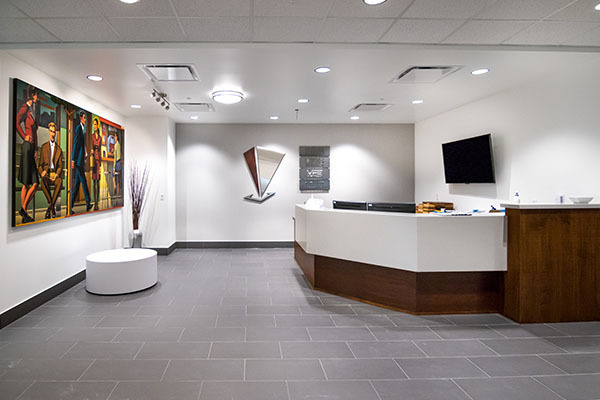 Click here to view our gallery.